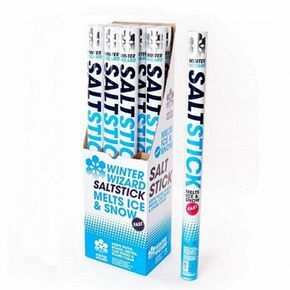 Fast-acting, high performance de-icing salt, suitable for use on pathways, stairs and fire escapes. Works 10 times faster than rock salt and prevents refreezing for up to 24 hours. Clean and totally soluable, leaving no dirty residue. 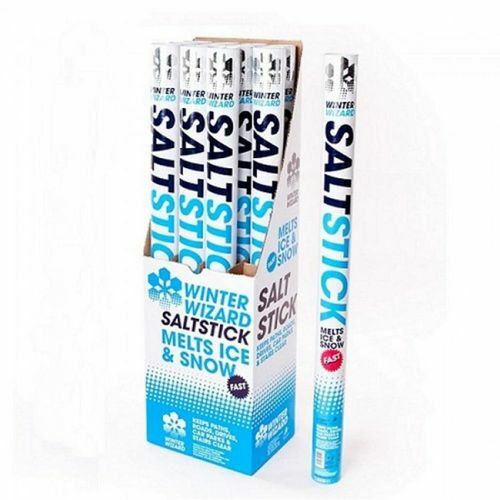 Tough cardboard stick preloaded with deicing salt fitted with an adjustable opening for accurate spreading. Reseable for use again and again. Capacity - 1.5kg (per stick).